Ireland's unemployment rate has fallen to 5.1pc in June from 5.2pc the previous month. According to data from the central statistics office (CSO), this is the lowest level since October 2007. 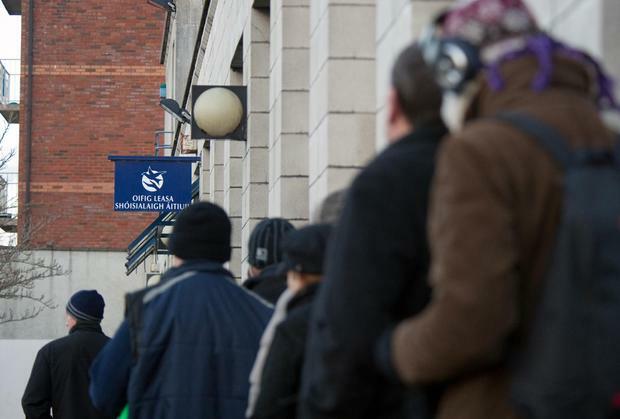 The unemployment rate for May was amended down to 5.2pc, the second revision in the last month since the CSO initially estimated it had stood 5.8pc. Unemployment has fallen consistently for the last six years since the jobless rate peaked at 16pc in 2012. The rate is now below the level the finance department forecast it would be on average through 2019 and 2020. Economist and senior fellow at Indeed, Tara Sinclair, said that the rate indicates that labour market growth is ahead of expectations. "Indeed research shows that the pace of hiring activity in Ireland is intensifying, with sectors like construction, hospitality and finance amongst those increasing their efforts to hire more staff. "In the first quarter of the year there was a 52pc increase in the share of job postings for hospitality roles in the first quarter of 2018 compared to last year, and a 42pc increase in the construction sector." Ms Sinclair also said that there has also been a sharp uplift in companies looking to recruit staff for financial services roles in Ireland, up 15pc compared to last year. "Job areas like risk management, investment analysis and portfolio management have all seen particularly strong increases, and the staffing needs of financial companies increasing their footprint in Dublin in response to Brexit is likely to be one of the factors driving this trend. "The tighter labour market is already feeding into higher wages, and that is a trend that’s likely to continue as the war for talent intensifies between employers."